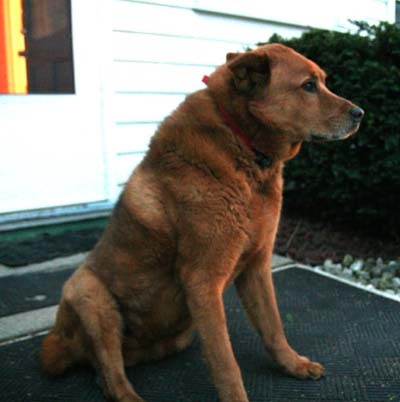 Monica’s landlord, who lives above her, euthanized his dog today after the onset of some very painful bone cancer. Grizzly was 10. I only knew him in his last year, sitting on the doorstep barking at distant pedestrians and greeting arrivals, happy to be minding that spot in even the coldest weather. He seemed to have few other cares in the world. He will be greatly missed.